Thank you for this great compilation, here in Germany is Turrican a big Legend. 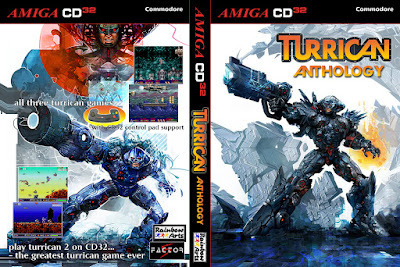 Turrican 1 has some glitches, but i have this one on a another cd. Sadly there is no "Tony and Friends in Kelloggs Land" on the disc, but I can wait. Sorry for the bad english and keep up with your amazing work. Hello! This is a really nice collection. :) I have a problem i hope someone can help me with it. Not just this one game but a few others. 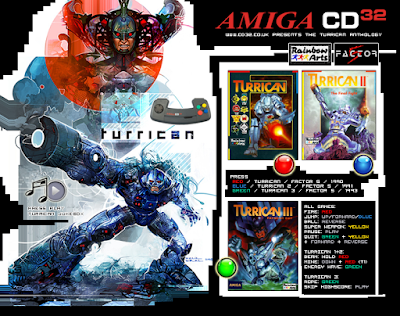 Turrican 3 only plays in black and white with weird scanlines :( is this a problem with my console or can something be done about it? I usually don't burn anything. But as I know I just have to burn the ISO to a CD. Done with Super Cars, but I only receive a black Screen on both of my Amiga CD32. 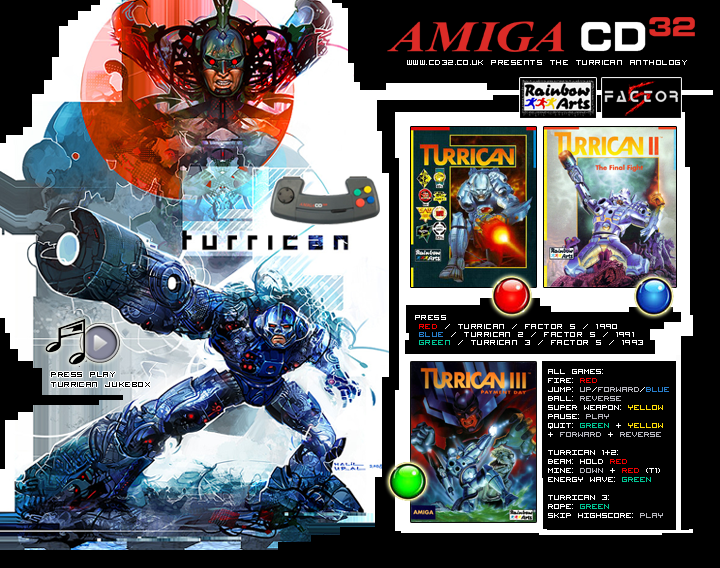 With the Turrican ISO I receive after minutes a workbench Screen. Nothing more. What do I have to do that the games are working? WOW THX! Könnt ihr bitte eine Version schreiben mit 2 Feuerknöpfen? bitte bitte :D brauche ich für das Autofire oder ein Autofire Knopf? You'll need a CD32 pad with autofire for that feature. I've been using the Honeybee pad, works very nicely for that.